Home \ Blogs \ Drug Abuse \ Tainted Cocaine Causes 42 Cases of Neutropenia in Alberta and B.C. The majority of North American cocaine is now spiked with levamisole, which can cause a dangerous or fatal blood disorder called neutropenia. Public health officials in Canada who are monitoring the situation say that over 15 months, 42 people in 2 provinces contracted the condition from tainted cocaine. Canadian researchers say that cocaine tainted with levamisole caused 42 cases of neutropenia in Alberta and British Columbia between Jan 1, 2008 and March 31, 2009. The researchers began monitoring the situation at the urging of Canadian public health officials, as cocaine tainted with levamisole became more prevalent (now a majority of North American cocaine is so tainted). South American drug dealers are cutting cocaine with levamisole, a veterinary anti-parasite medication more properly intended for a bovine clientele. 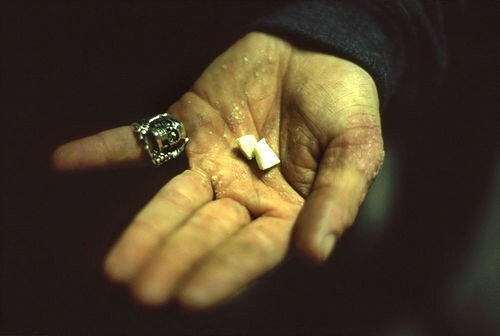 Levamisole is not approved for use in humans, but some research indicates that it can increase the potency of a cocaine high through interactions with the neurotransmitter dopamine. Problematically, although levamisole tainted cocaine may help users get a little higher, it also puts their lives at risk. Consuming levamisole can cause neutropenia, a blood disorder that results in very low levels of white blood cells. People with neutropenia are left with very little immune function and are very vulnerable to bacterial infections, which can be fatal. The American Drug Enforcement Agency reports that 70% of cocaine samples seized nationwide in July contained levamisole as an additive.